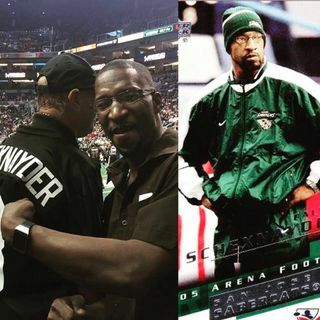 On this week's episode of Inside the Nation, Tom and I have a discussion with Arena Football League great Calvin Schexnayder formerly of the Arizona Rattlers, Tampa Bay Storm, and San Jose SaberCats. Calvin talks of his days playing for the league and what he believes is needed to bring the league back to its glory days. He also dishes his thoughts on this year's ArenaBowl match up next week. In our second segment, Tom and I go over next week's ArenaBowl and make our ... See More predictions on who is going to come out on top and by how much.